Read, Write, Love, Blog: When is a raven like a writing desk? 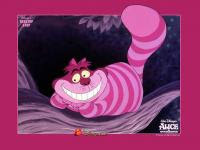 As a child, i always loved Alice In Wonderland. This riddle is designed to not make sense - The author Lewis Carroll, has never intended for there to be any real answer to this question. The whole point of the riddle is that it has no answer, although loads of people have come up with lots of differnt creative interpretations of the riddle. It has always puzzled me to be honest - Why would you want to write a riddle with no answer? The most annoying thing of it all is that however much i try to work out what Carroll means, there is no way we will ever know, as Lewis Carroll died on January 14th in 1898 at the age of 65, due to Pneumonia. I think it is one of those things that Carroll has just added a famous twist and puzzle to the incredibly famous book of Alice In Wonderland. It's such a beautiful book - i think every child should be read it wen they are small. 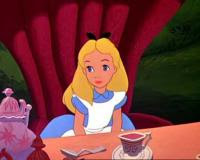 In some ways, Alice reminds me of myself, as she is overly inquisitive and always searching for the next new thing. This riddle ... "when is a raven like a writing desk?" just adds to the beauty of an incredibly beautiful book.